CodeinWP.com is one of the most popular blogs on the internet when it comes to everything you need to know about WordPress. They have earned a reputation in the space for publishing high-quality content and creating unique and helpful tools for business owners. 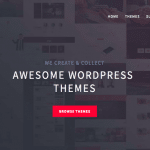 A few awesome examples include their annual WordPress hosting survey and domain name generator. 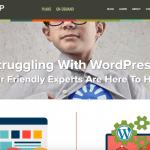 Every week, you can expect new tutorials, lists, comparison posts, and highly researched pieces that go into the inner workings of WordPress and how to get the most out of it. 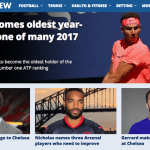 One way they set themselves apart from other typical WordPress blogs is that they don’t accept paid advertising or sponsored posts. And it shows throughout their website and content. Check out our interview below with Ionut Neagu, Founder & CEO over at CodeinWP. Freelancer.com is where I started my web dev adventure. After working on different projects there, we realized that building up a sustainable business wasn’t easy. There was no focus on a particular technology or niche, which would help master and improve our skills. There was no predictability – no way to get continuous leads (you basically had to bid on projects with 30 other people). There was no control – you were forced to do a lot of free work to keep your 4.9/5 rating. So we needed to find another way of marketing our services and growing the business. Having some SEO knowledge, I found the “PSD to WordPress” niche. We quickly decided to pivot the business to do just that, and built a site around the idea. That site – the original CodeinWP.com! In the beginning, we simply looked for WordPress-related topics that needed explaining and then tackled them in our blog posts. As a byproduct, we got consistent leads for our “PSD to WordPress” service. Over the years, though, the site has grown a lot and we abandoned the agency aspect to only focus on the publishing side of things. 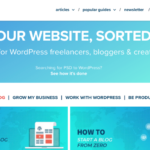 CodeinWP is now a hub for WordPress freelancers, bloggers and creators, and it’s one of the most popular such resources in the WordPress community. “Being a not-so-demanding website – just a landing page and a blog – we originally hosted CodeinWP on WiredTree (later acquired by LiquidWeb). For the most part, the setup was good enough, even when we reached around 200,000 visitors per month. “I first learned about Kinsta when I briefly chatted with Anita at WCEU back in 2014. Ever since, I’ve been paying attention to the hosting space and what’s going on with Kinsta (learning through various blogs and also community reviews). “Immediately after the Kinsta staff migrated our site, we saw quite a big improvement (decrease) in TTFB, dropping from an average of 400 ms down below 200 ms. That’s over 50%! We’ve now been using Kinsta for 2 years. There have been some small issues down the road (spoiler alert: no hosting company is perfect), however, the best testimonial is that we are still a customer, and not planning to move out. Kinsta is a great solution for WordPress websites on the rise that want to be able to handle any volume of traffic.